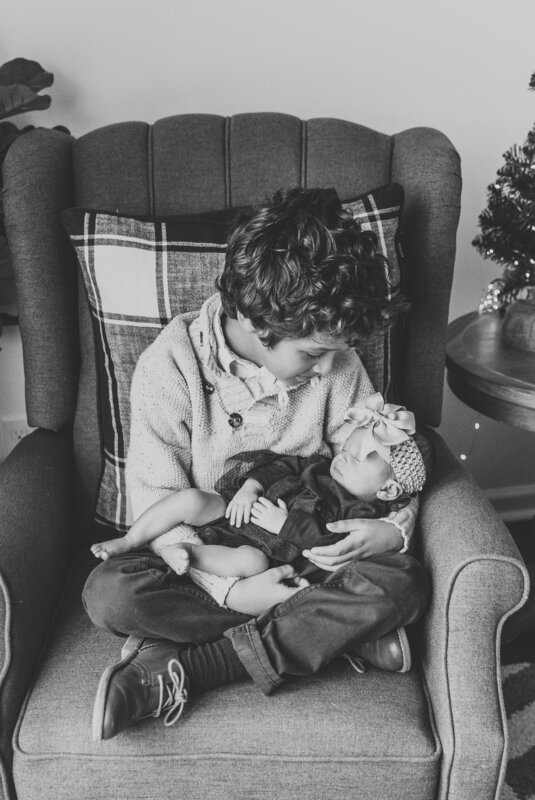 Let’s start off with a few of big bro and baby sis photos, because it’s like the sweetest thing ever! Gets me every time! Don’t you agree? Tiffany didn’t plan on being in the photos but I insisted, and I think she’ll thank me later for it. I didn’t have photos like these when my daughter was born, so I’m a tad bit jealous. And that’s part of the reason I’m so big on encouraging moms to be in front of the camera more. Are you melting yet??? Ovaries hurting, maybe??? LOL Keep scrolling to see big bro’s amazing eyelashes AKA my dream eyelashes. If you’re having a baby anytime soon, let’s chat and get you booked! If you live outside of Murray, KY or don’t feel like getting your house photo-ready, you’re welcome to come to my in-home studio! In case you’re wondering, when I say photo-ready, y’all basically just need to clear the part of your house close to your windows or clean certain areas/rooms in your house where you want to be photographed in. Because who’s got time to clean after just giving birth, right? I’m also a MOM, so no judgment here! 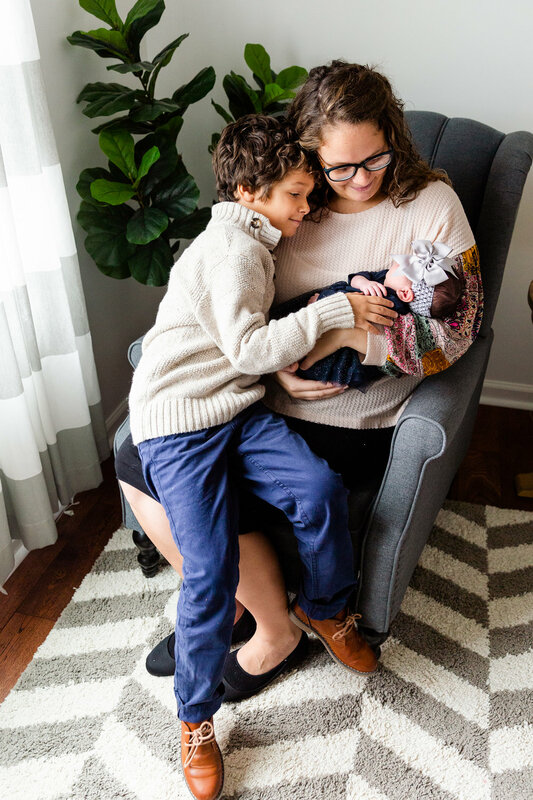 Also, I know that it can get a little crazy the first few weeks after having a baby, and you might not feel like dressing up or getting in front of the camera - BUT please, PLEASE, just do it! Don't let those precious moments pass you by. You’ll thank me later! Y’all, I’m so excited to share the photos I took of Pearl & Steel’s Red Carpet 1st Birthday Party!!! They have the most creative mama! I mean, just check out all the details and I’m sure you’ll agree with me. You guys, this has been long overdue! I drafted this post in October and totally forgot I haven’t hit published. I’m so behind blogging my sessions but I’ll catch up this winter when business slows down a bit. Anyway, here you go… finally sharing more photos from Zach & Laney’s session! I posted some sneaks on Facebook and Instagram, and y’all loved it! Well, how can you not? They’re just perfect for each other! It was fun getting to know them, their love story and Zach’s proposal - which I wish I got to capture but I didn’t coz we really didn’t know each other then. SIDE NOTE: Calling all men in Murray, please contact me if you’re planning on proposing anytime soon!!! I love proposals and I’d kill to be a part of it! I’ll give you a great deal, I promise! K. Thanks. Bye! So, here’s the soon-to-be Mr. & Mrs. Bogard! Welcome to my blog! Let's kick it off with a double dose of cuteness!!! I'm so excited to share this session of my niece, Ashley, and her adorable twins Hallie Pearl & Thomas Steel!! !